What’s the matter? 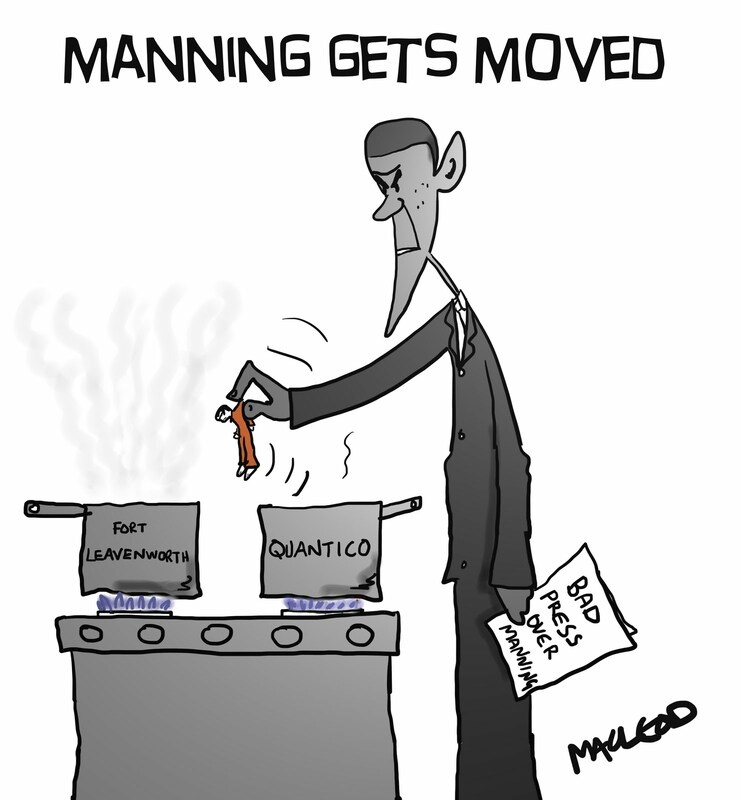 You puling traitor lovers wanted Manning out of solitary and that’s to some extent happening. He gets three hours per day amid the general population. I like it. It means that general population has three hours a day in which they have access to him and the means to do the right thing and exterminate Manning. And we wonder what happened to the Rule of Law in this country . . .
1 – The law cannot be allowed to handle every situation because its use would be corrupted by letting it do so. 2 – Those who ultimately enforce the law are no longer trustworthy and will enforce it or not for political reasons instead of objectively. When there is no rule of law there is ONLY anarchy. So, what do you do, accuse someone of some thing you believe is is bad, such as treasonous, and then go exterminate them?